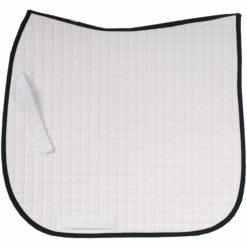 The Horze Harleigh Ventilation Sheepskin Half Pad is backed with a thick layer of super-soft genuine sheepskin, with a mesh spine for increased airflow while your horse is working. 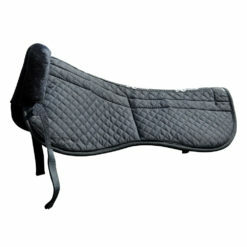 This riser pad features stylish rolled sheepskin at the pommel and cantle. 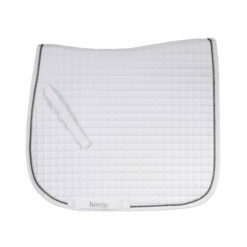 The correction pad raises the saddle, preventing chafing and allowing your horse’s back to breathe. Machine washable. Available in black only with tan detailing. 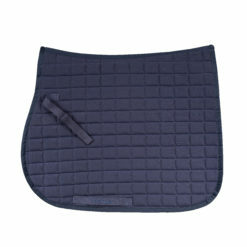 Horse size to fit saddle sizes 16″-18.5″. 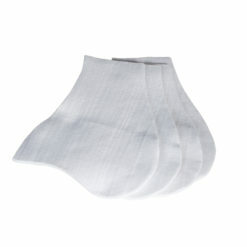 Care: Machine wash gentle cycle with cold water. Spin to remove excess water. 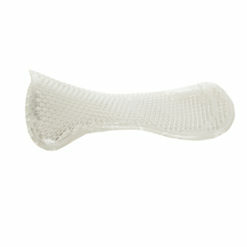 Gently pull into shape and lay flat to finish drying. Do not machine dry or dry in direct sunlight.